Our spotlight member for November is Ashlyn Reed! Ashlyn has been dancing for most of her life, starting ballet at the tender age of three. She took a sabbatical from ballet, but she couldn't stop dancing completely. 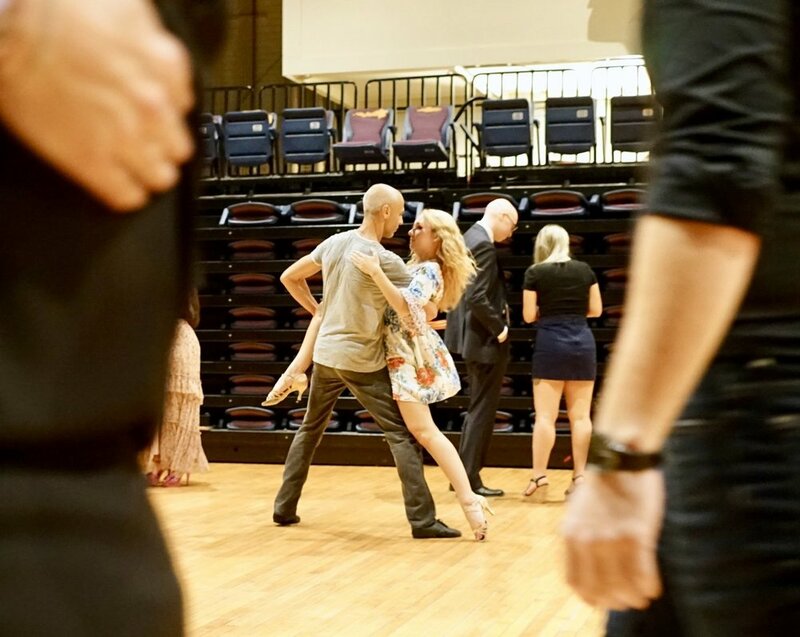 Her freshman year, Ashlyn joined the UGA tango club and fell in love with Argentine tango. While she attended ballroom workshops during her time in ballet and contemporary, it wasn't until college that Ashlyn truly entered the ballroom scene. Missing the camaraderie of traditional dance companies, she joined the UGA ballroom performance group her sophomore year. Not a day goes by that Ashlyn isn't dancing in some way. When she's not creating art with her dance, she's creating with her hands. Ashlyn enjoys painting, drawing, and photography in her free time. She even brings her creativity into her studies as an English major and studio art minor. Ashlyn originally planned on law school after graduation but discovered her passion for visual Public Relations after interning for Passport Magazine, the small purple magazine you can see around Athens. Regardless of where she ends up, Ashlyn says she wants a job with a humanitarian aspect. Her desire to help others greatly influences her decisions, as seen with her work for Project Safe. In her plans for post-graduation life, finding a new scene so she can keep dancing is a priority. She'd love to find a dance company she can keep performing with. Wherever Ashlyn ends up, she will always be part of the BPG family!